Yes, yet again Liam plays a supposedly unassuming man, who is more than he seems. It feels like this is all he’s played since the aforementioned Taken, so at this stage he has it down pat. This time around he plays Michael McCauley, an unassuming insurance salesman, who is still struggling to come out the other side of the recession. After 10 years commuting to his job daily, he is fired, but on the train journey home that evening, he is made a very intriguing offer by a mysterious lady calling herself Joanna. She knows about his background as a cop, and says if he can find one particular person on the train he will get $100,000. Of course, if something seems too good to be true it usually is, and before long, Joanna is threatening his family, people are dying all around him, and he faces a frantic race against time to save everyone. As you might have gathered, the story is pretty pedestrian and workhorse. Like I said, Neeson has been playing this role for a decade now. However, a quick glance at the cast list and you’ll see some rather impressive names, and it is this that elevates this somewhat from a straight to VOD thriller. Given the nature of the genre, which usually doesn’t require much more than furtive glances, and one or two intensely delivered lines of dialogue, in terms of acting, the cast all do a stellar job. Even though you can see certain plot twists coming a mile away, they work hard to try and avoid telegraphing anything, even if the script makes that impossible. 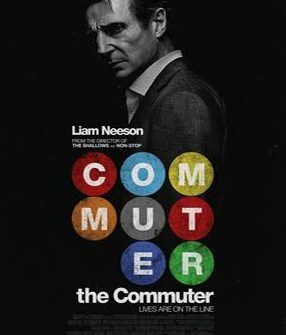 That said, this is very much Neeson’s movie, and I doubt if the rest of the cast combined have as much screen time as he does, so if you’re planning on spending two hours in the company of Vera or Patrick or Sam, you may be slightly disappointed. The actual opening of the movie is extremely well-thought-out and beautifully shot, giving us a snapshot of McCauley’s normal commute over a period of time, and it is a pity that this originality couldn’t have been maintained throughout. But at the end of the day this is an action movie, and it is in the fight-scenes and disaster set-ups that it earns it stripes. This is Collet-Serra’s fourth time to work with Neeson, so he knows how to shoot his brawling for maximum impact and effect. Equally, all the big set-pieces are suitably OTT and dramatic, and there are a couple of very well-thought-out scenarios. This does what it says on the tin. It’s an entertaining enough distraction for a couple of hours that doesn’t beg too much of the audience, other than to sit back and enjoy. It’s not high art, and nor does it claim to be, but you’re not expecting that going into a movie like this. If you still have a post-holiday season brain fuzz, and don’t want a movie that you will really have to focus on, then this is a perfect choice.